Vadakkunnathan temple is an ancient Hindu temple built more than 1000 years back which is dedicated to Lord Shiva. 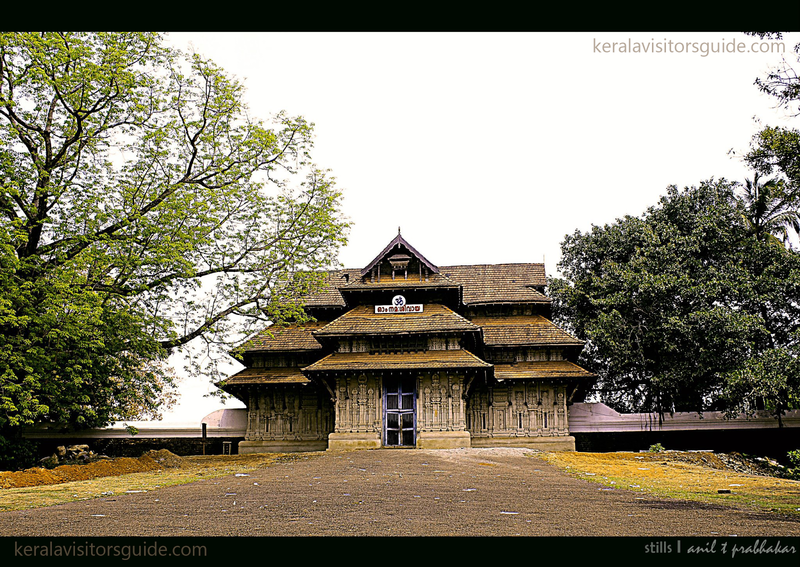 The temple situated at the city of Thrissur is a classic example of the architectural style of Kerala. Vadakkunnathan is when literally translated into English the 'Lord of the North', which is Himalayas. Mural paintings depcting various episodes from Mahabharata can be seen inside the temple. There are four Gopurams (gates) each facing North, South, East and West. In older days Paramekkavu Bhagavathi was also inside the Vadkkunnatha temple, which was later moved outside. When Sakthan Thampuran (1751 - 1805) was ruling the Kingdom of Cochin, he changed its Capital from Thripunithura to Thrissur as the king has personal relationship with the temple. He later introduced the world famous Thrissur Pooram in the premises of the temple, which will be celebrated in the malayalam month of Medam (Mid April - Mid May) every year. The temple is situated at the center of Swaraj round of Thrissur. Non Hindus are not allowed to enter the temple.